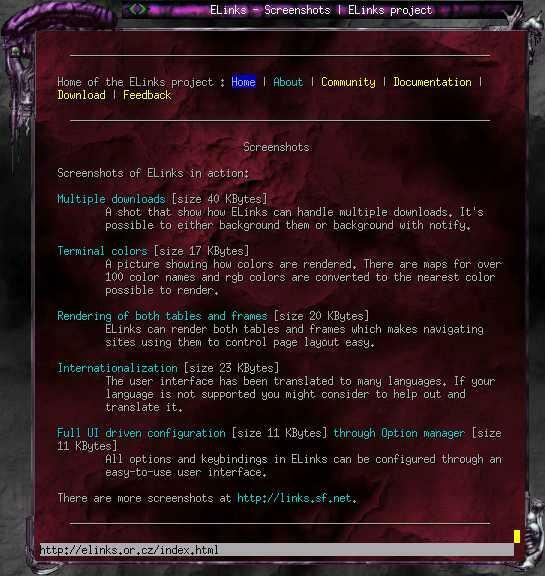 Below are a few screenshots of ELinks in action. If you have a nice shot that you think is missing please let us know. 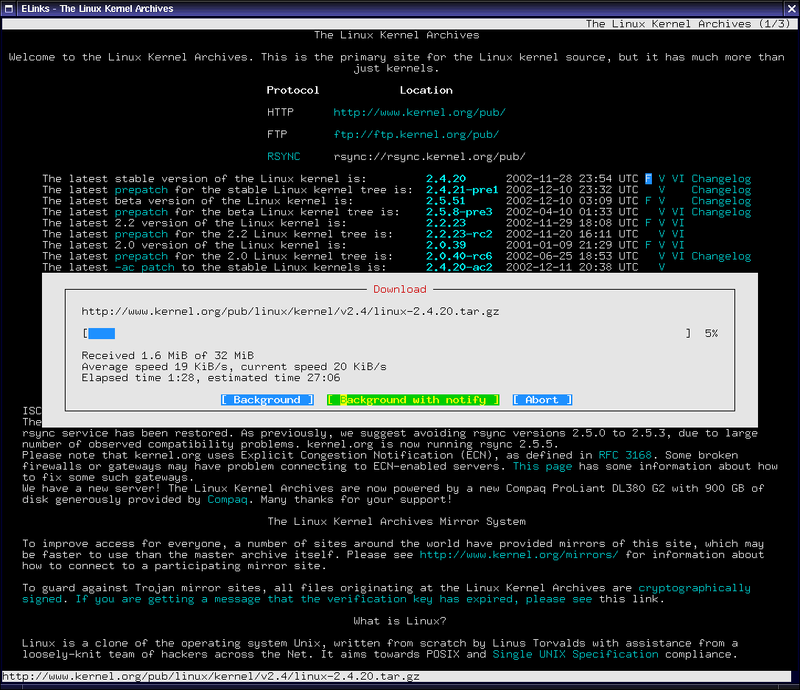 A shot that shows how ELinks can handle multiple downloads. It's possible to either background them or background with notify. A picture showing how colors are rendered. 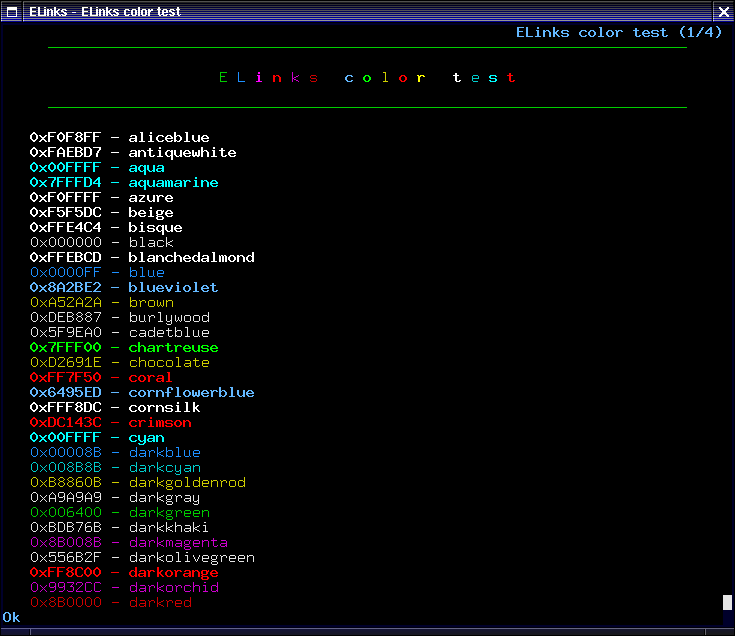 There are maps for over 100 color names and RGB colors are converted to the nearest color possible to render. 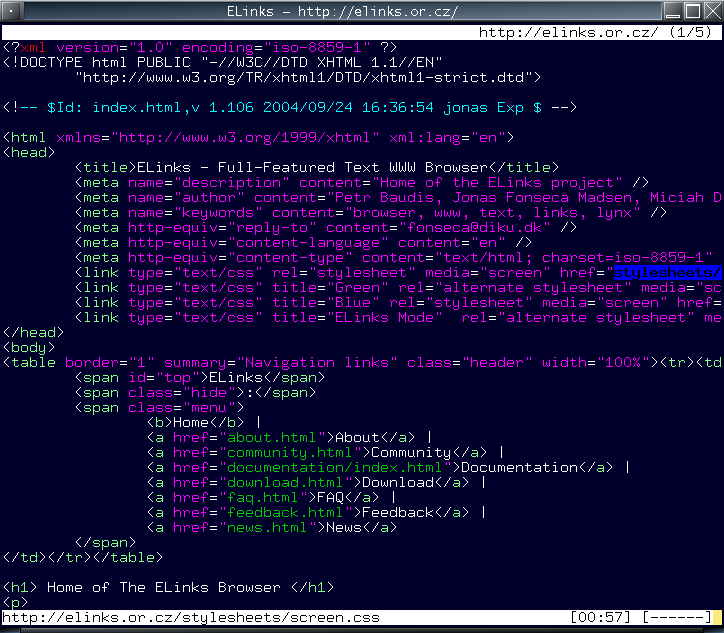 ELinks can render both tables and frames which makes navigating sites using them to control page layout easy. 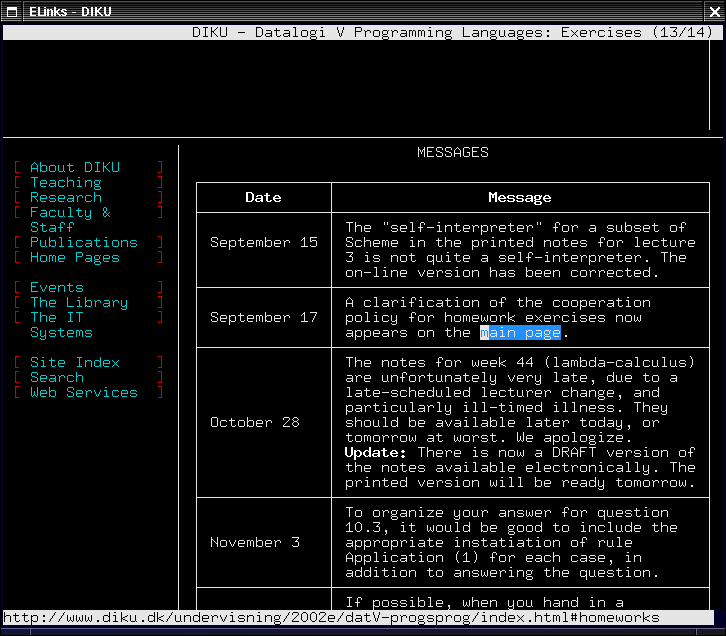 The user interface has been translated to many languages. If your language is not supported you might consider to help out and translate it. 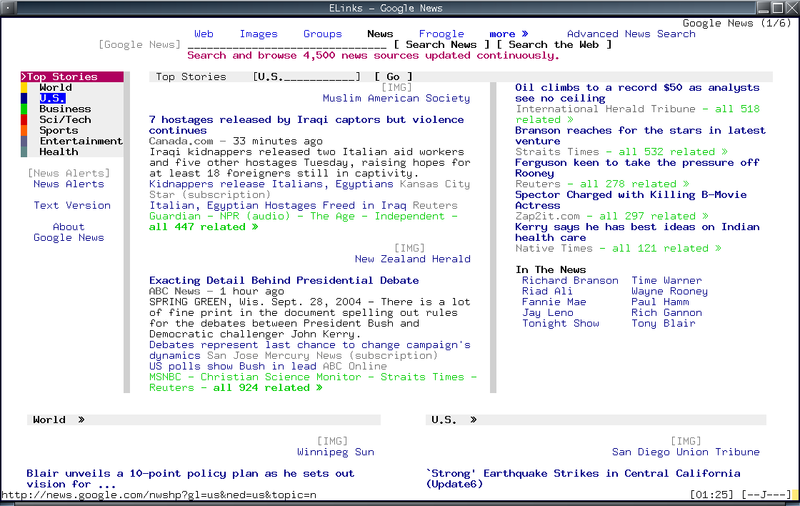 ELinks is highly configurable. All options and keybindings can be configured through an easy-to-use user interface. 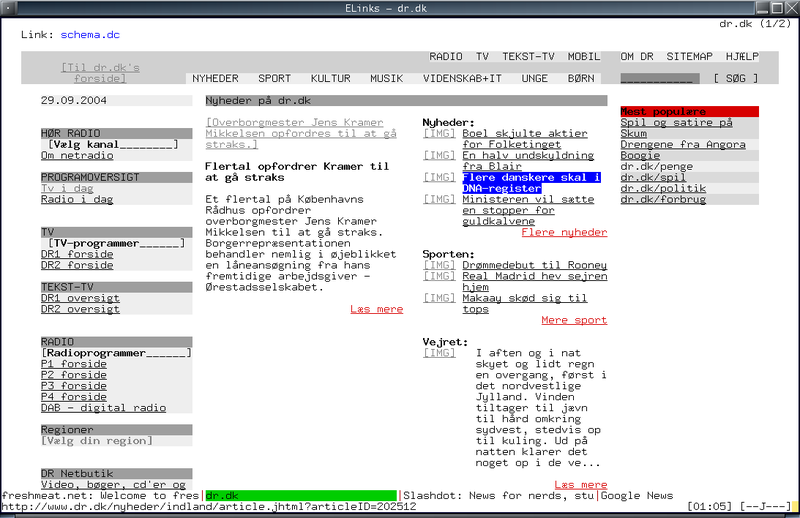 A clean shot of ELinks running with transparent background. This way the background color of the terminal is used. Beware this is highly addictive. 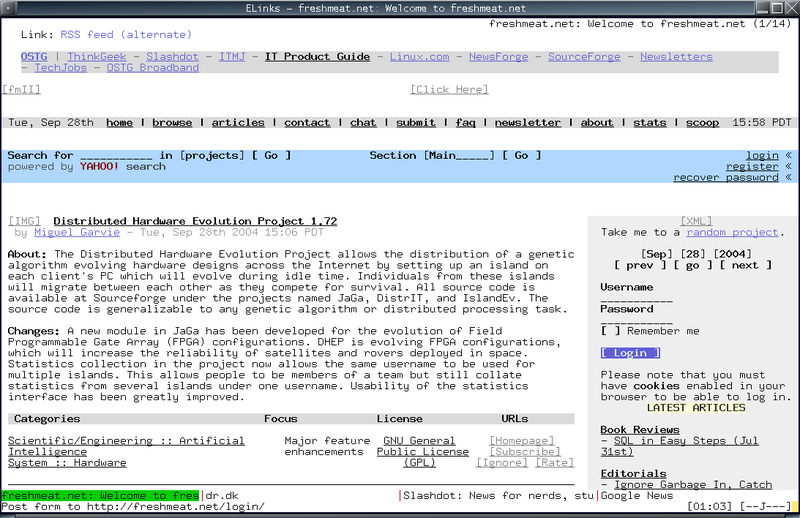 There are more screenshots at http://links.sf.net. Last Modified: 23-Feb-2008 11:12:24 CEST. Validate: CSS XHTML.